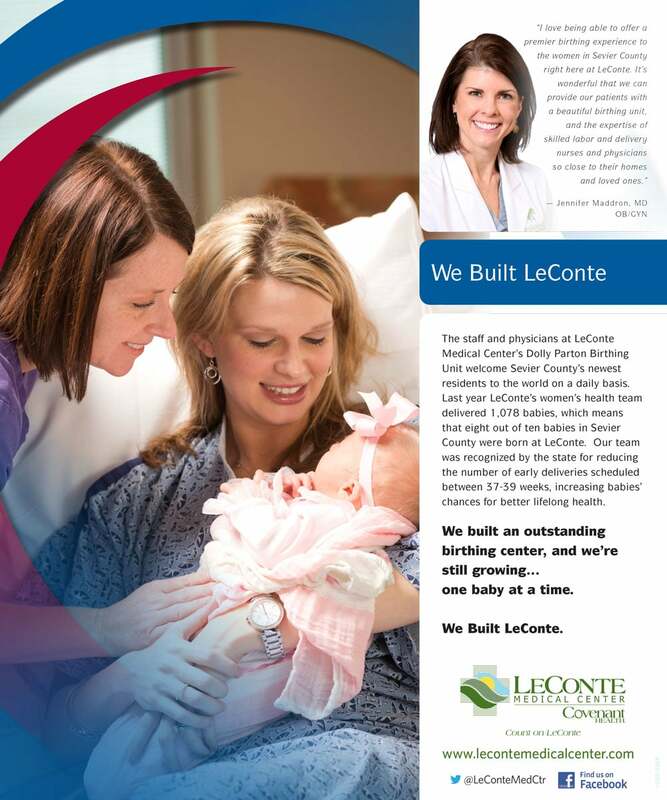 Together, our community and Covenant Health built LeConte Medical Center, a magnificent, $120 million state-of-the-art hospital with medical services and advanced technology rarely seen in cities our size. Download the ads to learn more! 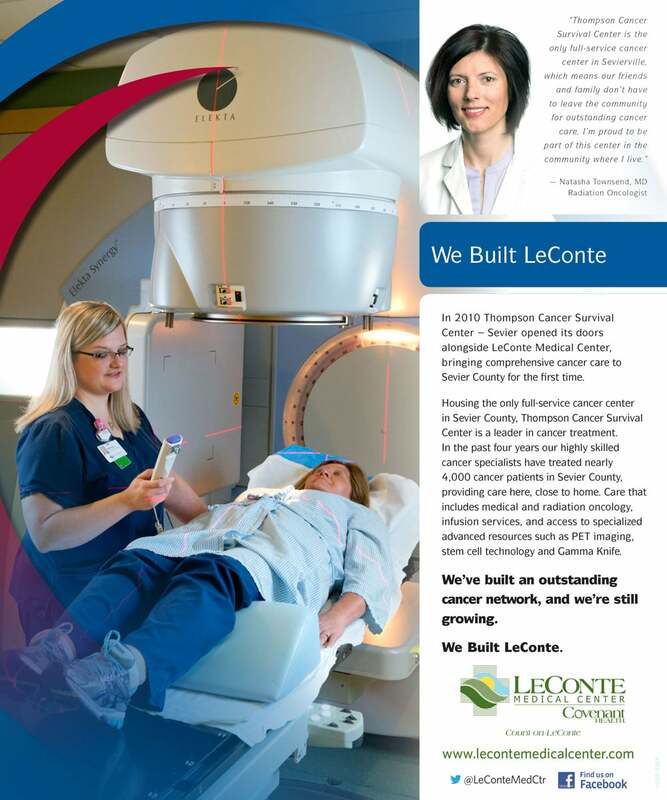 Thompson Cancer Survival Center-Sevier: Since 2010 we have treated nearly 5,000 of our family and friends at our community’s only full service cancer center. Dolly Parton Birthing Unit: We delivered 1,078 babies last year, welcoming eight out of ten of Sevier County’s newest residents. Emergency Services: Last year we treated over 54,000 emergencies, caring for local residents and visitors from across the country and around the world. Primary care physicians and specialists with thriving practices in family and internal medicine, obstetrics and gynecology, pediatrics, surgery, pulmonology, cardiology, medical oncology, radiation oncology and orthopedics have chosen to practice here with us. They and their staff care for us and our family right here in our own community. They are our neighbors, supporting and enriching our economy. 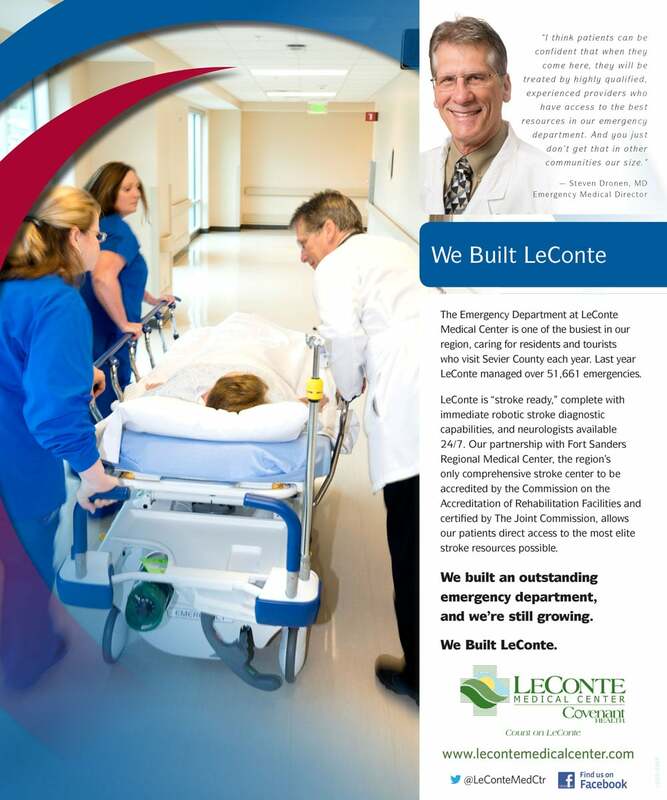 LeConte Medical Center’s full physician directory is available anywhere you go! Call (865) 453-WELL (9355) for personalized service to help you find the physician who’s right for you. Click here for full physician profiles. 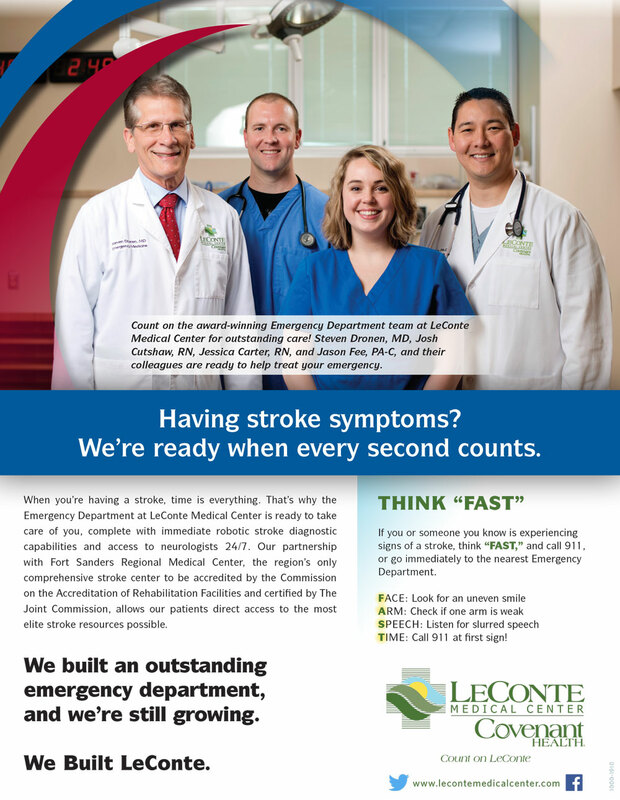 Other specialists in interventional radiology, neurosurgery, orthopedics and perinatology from Fort Sanders Regional Medical Center hold regular office hours and care for patients at LeConte Medical Center. 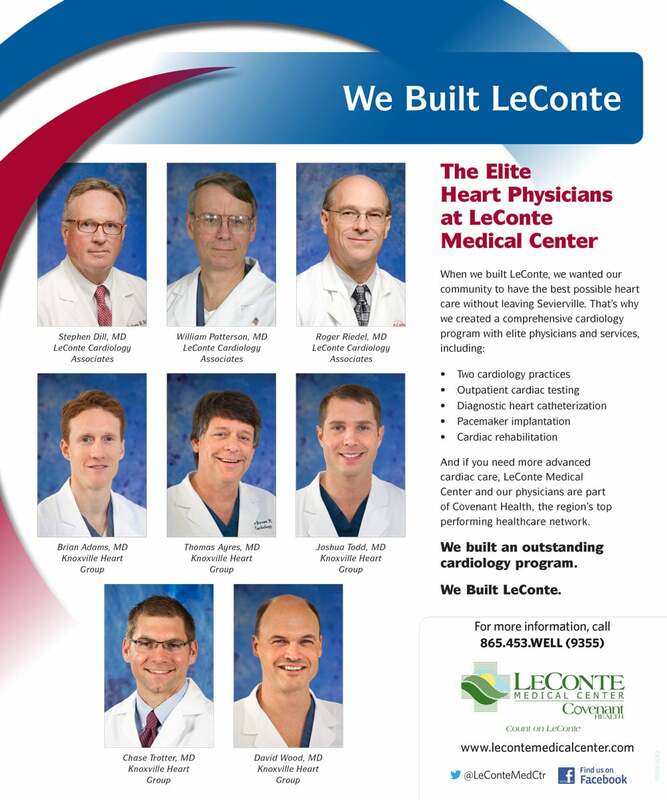 These physicians have integrated with our medical staff, participating in meetings and patient care conferences to ensure our patients receive excellent care right here in our community.